WELLINGTON, New Zealand — All Blacks coach Steve Hansen says Saturday's Rugby Championship test against Argentina in Buenos Aires is part of a two-match experiment, imperative to New Zealand's defense of the World Cup in Japan next year. Hansen said the All Blacks' last two matches against Argentina and South Africa will allow coaches and players to simulate conditions New Zealand might encounter in the knockout stages of a World Cup. He said if New Zealand reaches the playoff stages of the world tournament it will have to win two "big" matches to reach the final. 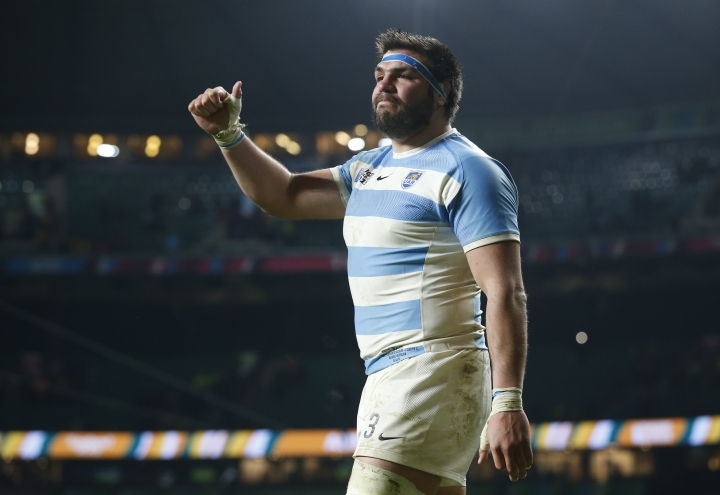 Its next two tests against the Pumas and Springboks would allow it to test itself in similar circumstances and without frontline players as might be the case in World Cup playoffs. He didn't say that the experiment has become more urgent and its outcome more critical since the All Blacks' buildup to the World Cup was shaken by its surprise 36-34 loss to South Africa in its latest test. Hansen knows that he, his coaching staff and players must quickly absorb the lessons of the Springboks defeat to avoid a second straight loss which could leave his Cup plans in disarray. One of the All Blacks trump cards is their image of invincibility and if they lose that a year out from the World Cup, their progress to another world championship will be more difficult. Hansen said "we're doing a little practice for the future. We think if we're good enough to get through the round-robin at the World Cup and we want to advance deep into that tournament we need to play at least two big games in a row to get to the final." Hansen has, in fact, made six changes to his lineup only some of which are dictated by injuries or by preset plans to rest players such as captain Kieran Read. He has thrown two players — flyhalf Beauden Barrett and scrumhalf T.J. Perenara, whose decision-making was called into question in the loss to South Africa — back into the fray on Saturday. Hansen's characterization of Saturday's test, against a Pumas team which has won its last two matches, as a laboratory for the All Blacks' personal experimentation seems further evidence of over-confidence. Argentina hasn't beaten New Zealand in 31 test meetings but has never been better placed to do so. "All Black teams are well known for coming back reasonably strongly after a defeat," Hansen said. "They don't experience a lot of them and particularly this group haven't anyway."